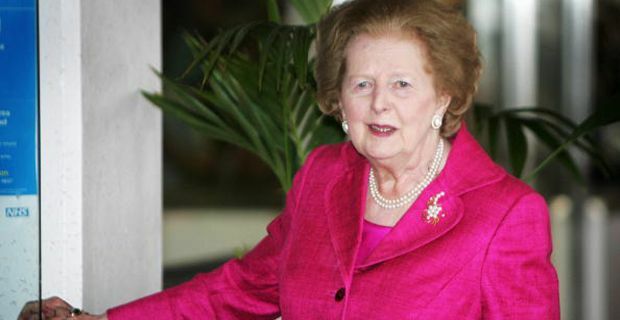 There can be little doubt that Margaret Thatcher was the most divisive figure in living memory. No-one is indifferent to her legacy – they either loath her with a furious passion or celebrate her as the woman who saved Britain. When Mrs Thatcher smashed the glass ceiling and became the country’s first female leader, the country was in a terrible state. Union power was paramount, recession was entrenched, and the three day week was limiting electrical consumption in a once mighty nation. The country felt grim, it felt miserable and it felt like it was almost slipping away from first world to second world status. Her time in power changed all of that. Opinion is still divided on how much of the stunning transformation in Britain’s economic fortunes was her doing and how much was circumstantial, but there is no doubt, Britain changed radically. She broke the union’s hold on power, tore apart Britain’s sickly manufacturing sector and changed the face of Britain’s economy, building up the service industries and the financial sectors that sustain the country today. She made property ownership a key economic mainstay through schemes like ‘right to buy’ and fostered a culture of unrestrained, self interested ambition. She slashed regulation and allowed small businesses to thrive, she restored a link between work and profit and she engendered a world where Britain again stood tall. America took it seriously once more, she hanbagged her way through the EU, London once again became a global business hub, and the booms she helped fuel made the country we live in today a far more wealthy place. And yet she did all of this with such a lack of empathy and in many cases, such brutality that she was being burned in effigy last night. She decimated the working classes – and even if many of them have now retrained into Thatcher’s new economy – the scars run deep. The south of England prospered at the expense of the North. She didn’t just force communities to adapt – she waged war against them. She saw everything in terms of ‘them and us’ and seemed to take almost a sadistic pleasure in defeating her enemies. Now the argument goes that nothing would have changed if she hadn’t been that way – but the damage was done all the same. The outbreaks of love on the right and bitter hatred on the left say it all. As ‘The Witch Is Dead’ banners were unfurled in Brixton, site of the 1981 riots, others were declaring her the greatest peacetime leader of the 20th Century and petitioning for a state funeral. The fact that such a state funeral risks erupting into a pitched battle says it all about the polarizing effect Margaret Hilda Thatcher will always have on this country – even when the mists of history have faded some of the passions.